Quite and eclectic coastal mix. Interesting display of all kinds of stuff. Looks like clean up is underway. Nice work! Quite a collection of discarded objects. The light and toning actually make it pretty to me. V.
Lots of interesting things to look at here. Love marine yards. Great ligh and compostion with the space in the foreground! V.
Nice array of tones, details and textures in this seaside scene. "V"
Nice light and contrast Frank!! Interesting junk heap,we have them about here as well. Well seen and captured. 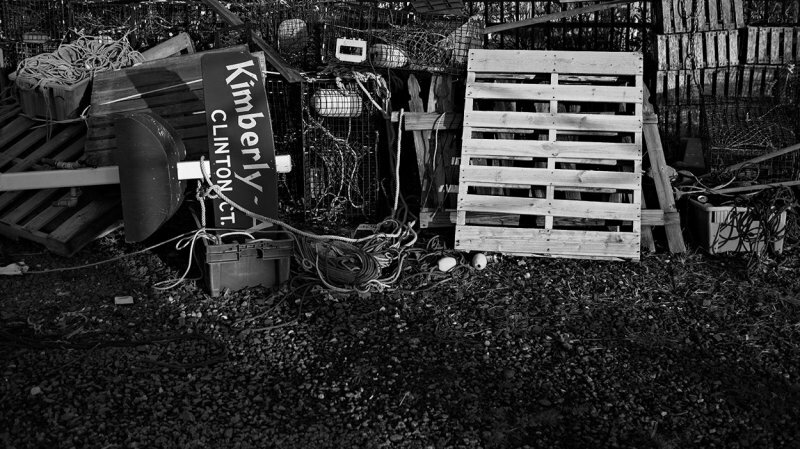 I think all marinas seem to collect stuff like this... makes a great image in B/W eh! a great capture of a garage sale!